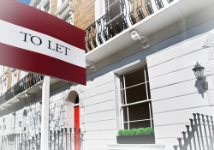 Government proposals published on Wednesday Nov 1st means landlords and letting agents could face £30,000 fines for charging tenants any fees above rent. Under the proposals, landlords and their agents will be blocked from making any charges in addition to rent. The only exceptions will be security deposits, which will be capped at six weeks’ rent, holding deposits, capped at one week’s rent, and any tenant default charges. Non compliance could result in an initial fine of £5,000, enforced by Trading Standards. If, within five years, another breach is committed, it will lead to a fine of £30,000 or prosecution. The documents also propose, making changes to rules on transparency which requires letting agents to post details of their regulatory oversight and fee structure on online listing sites like Rightmove or Zoopla. The rules will also require all letting agents to be regulated, currently this is not the case. This government is determined to make sure the housing market works for everyone. Tenants should no longer be hit by surprise fees they may struggle to afford and should only be required to pay their rent alongside a refundable deposit. We’re delivering on our promise to ban letting agent fees, alongside other measures to make renting fairer and increase protection for renters. We’re determined to make all types of housing more affordable and secure for ordinary working people. Tenants should only be required to pay their rent alongside a refundable deposit and not face hidden fees. Our housing white paper sets out other ways we will help those renting, including building more homes for rent and providing longer, family friendly tenancies. For Tenant's Contents Insurance information and quotes; click here. For Tenant's Liability Insurance information and quotes; click here.